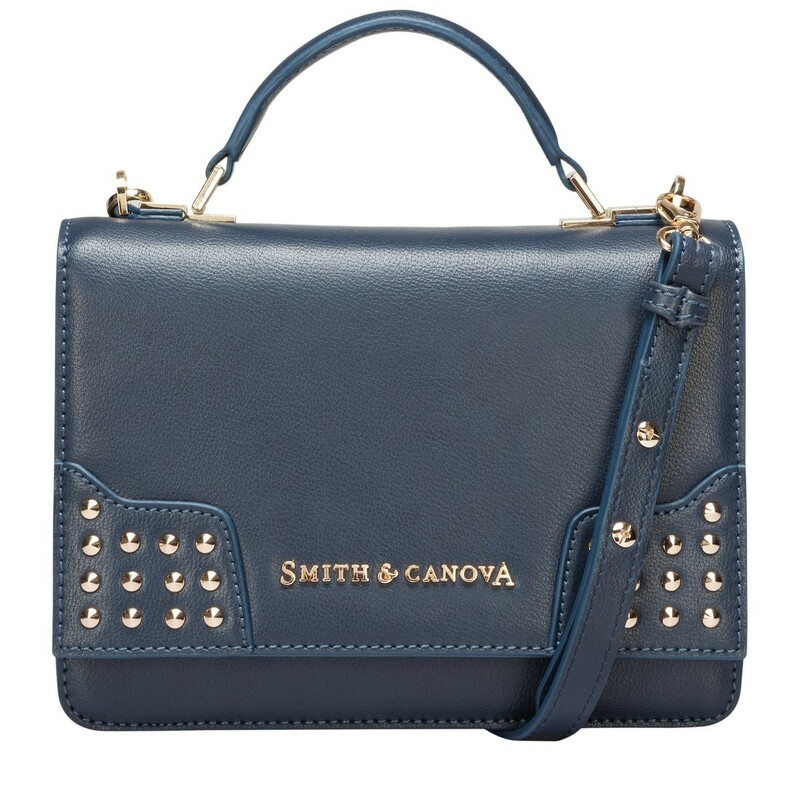 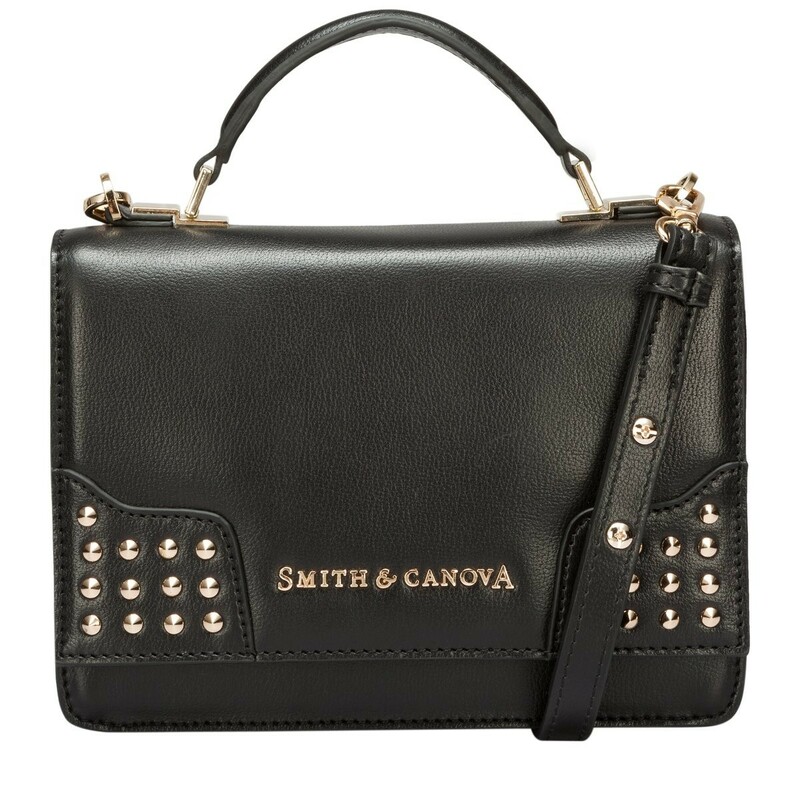 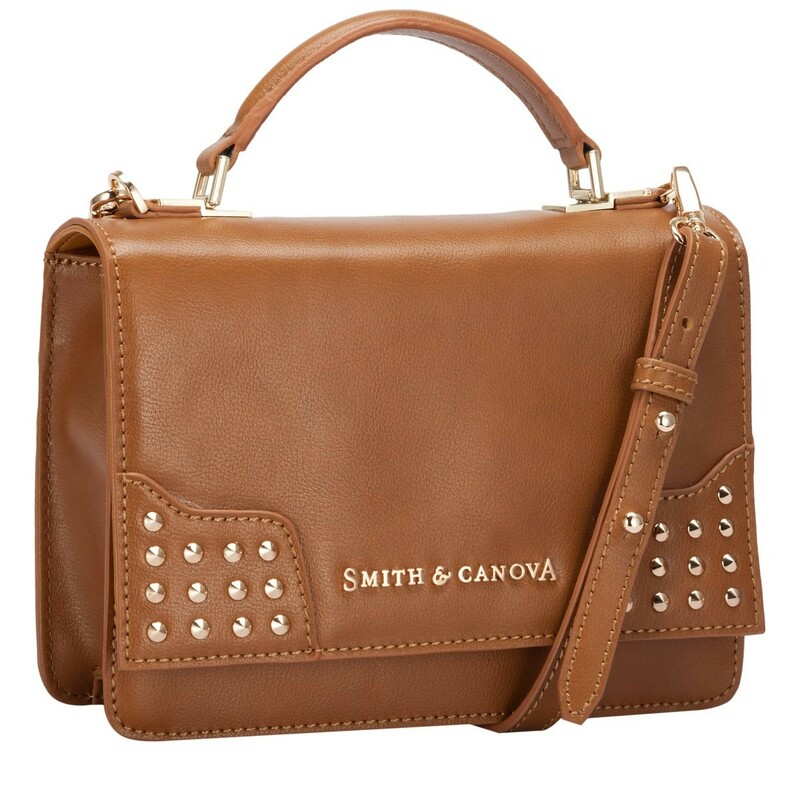 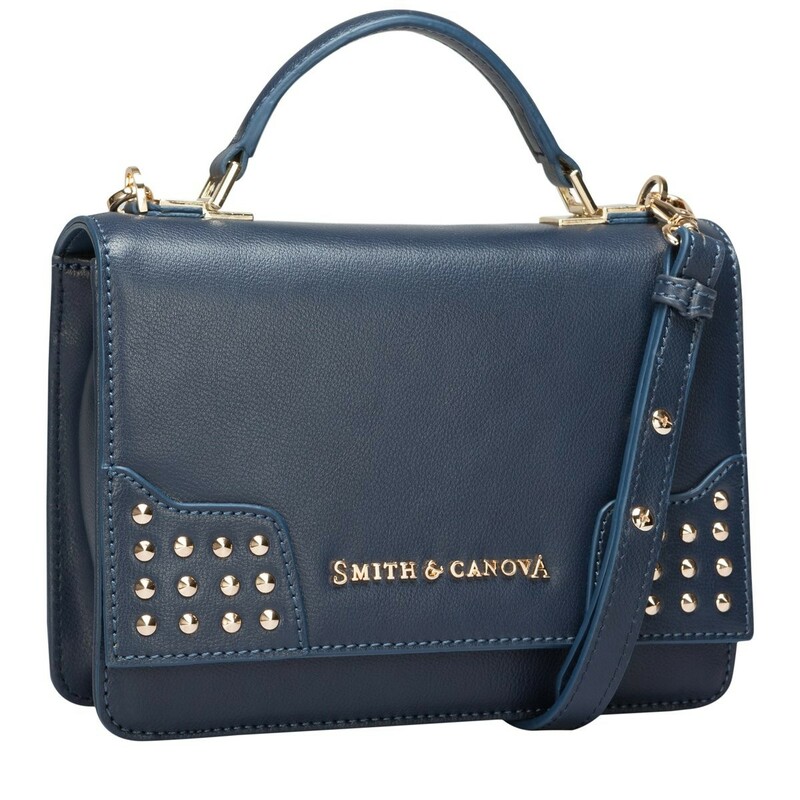 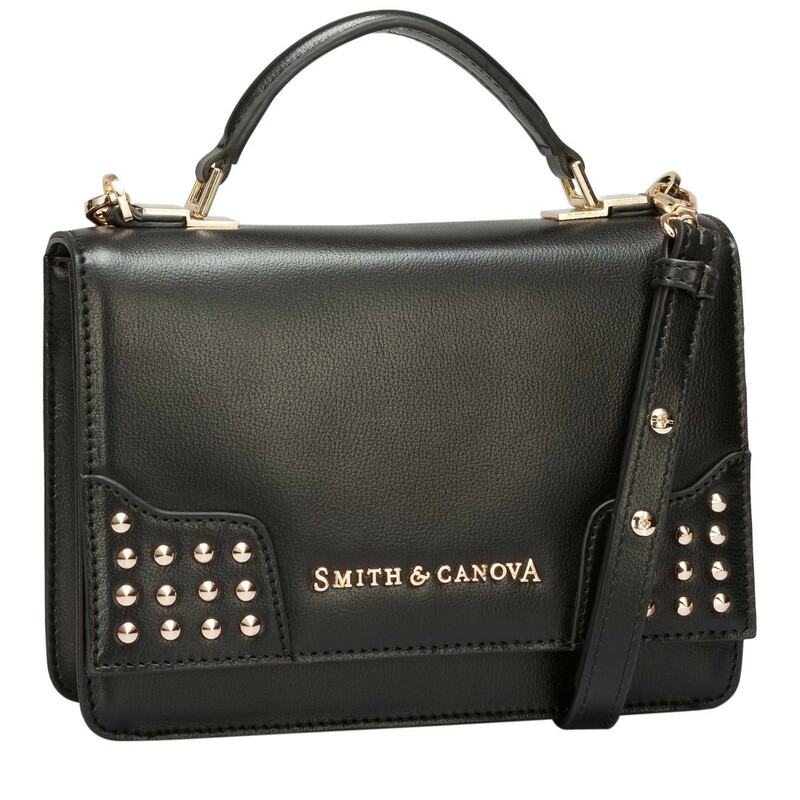 This cute corner studded style can be worn through the day, or transition as an evening bag. 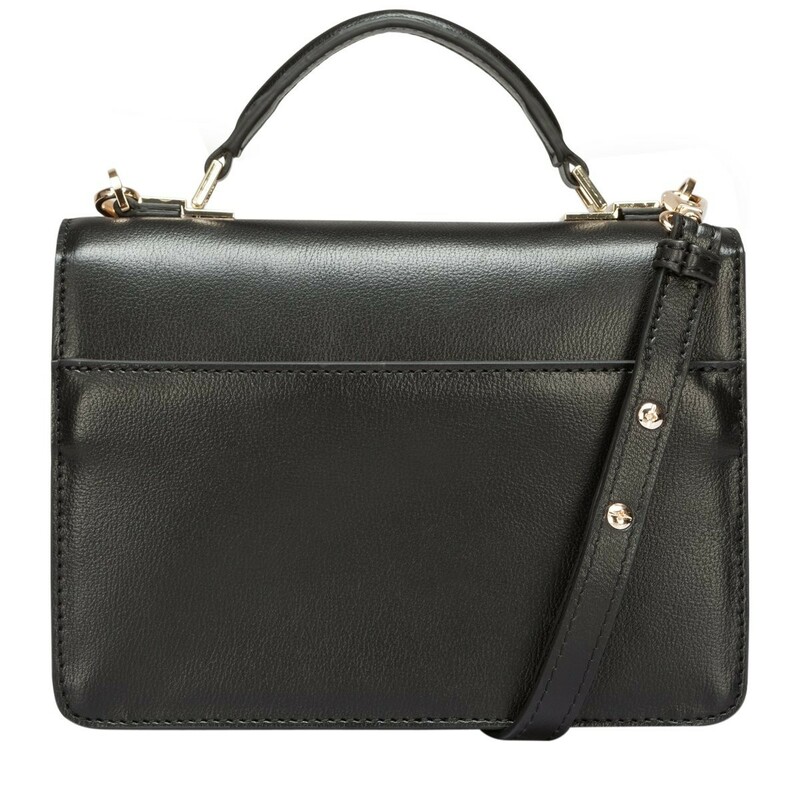 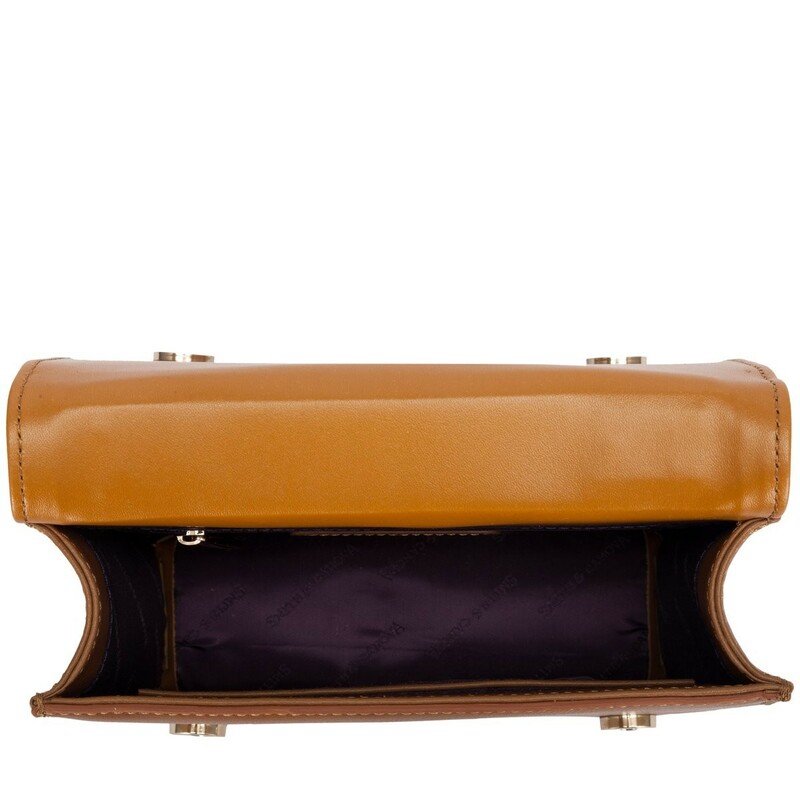 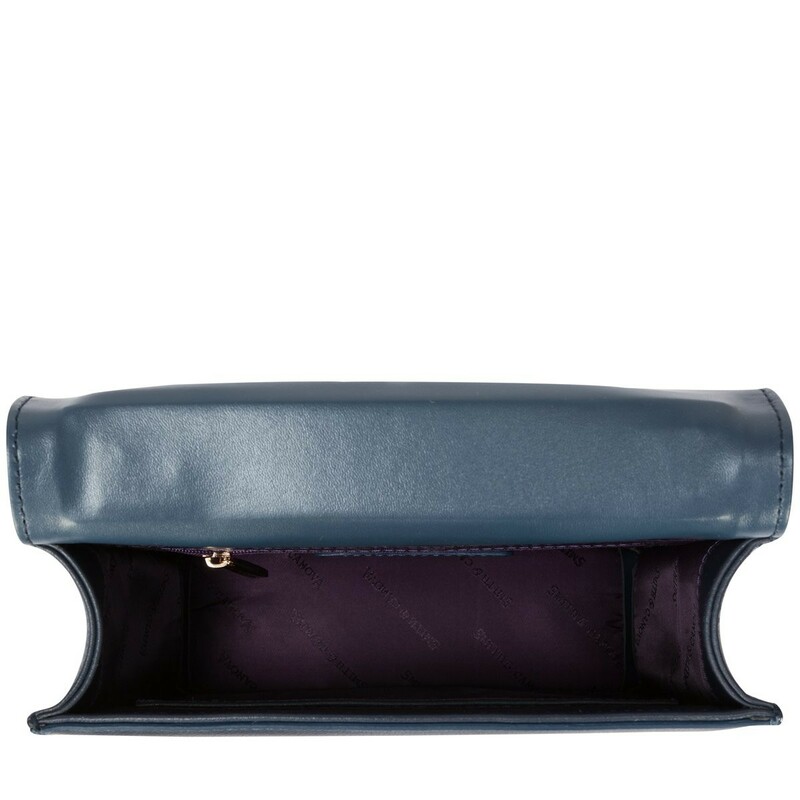 The smart flap over front is fastened with a magnetic clasp and inside boasts a slip and zip pocket so your smaller valuables can be kept safe. 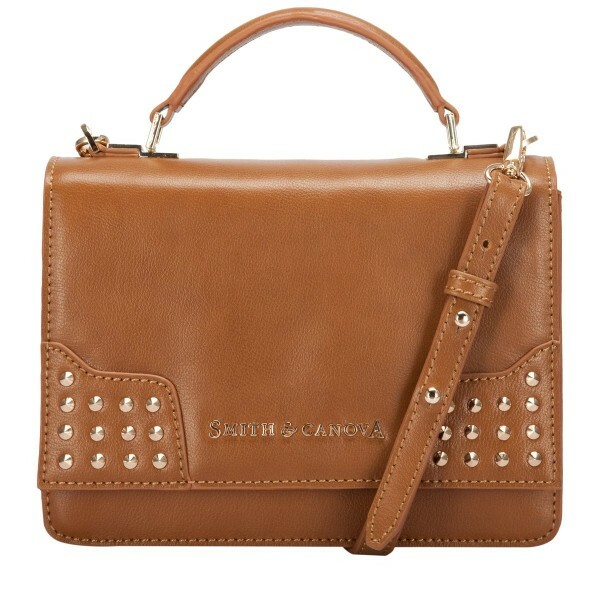 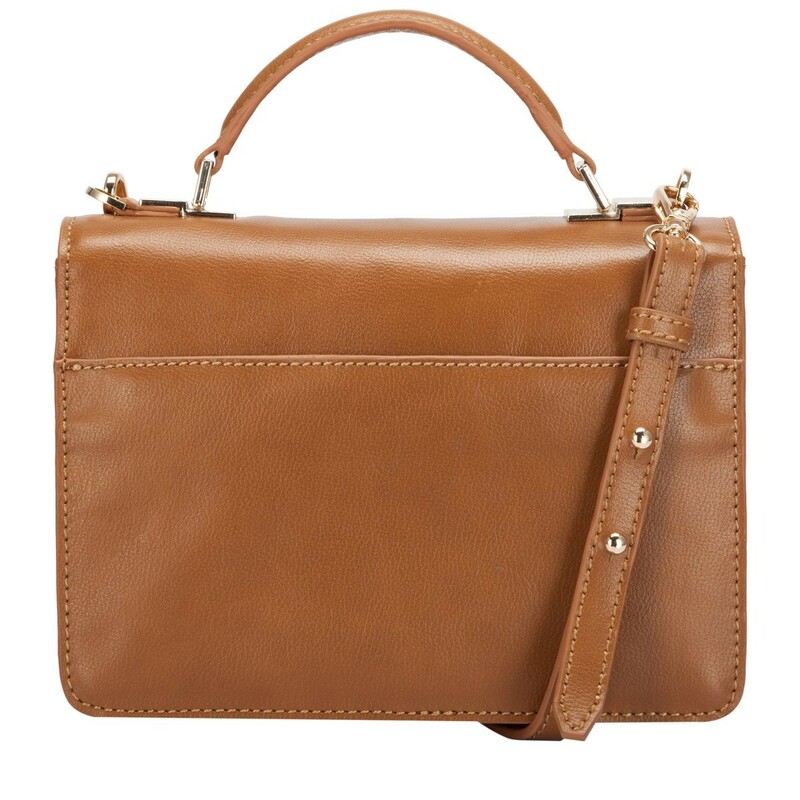 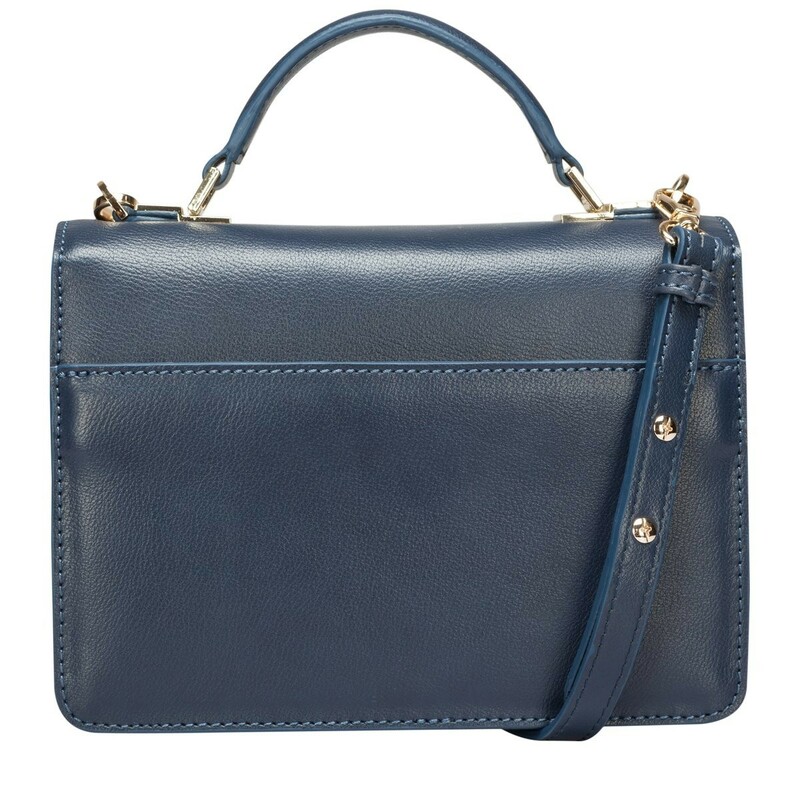 The detachable leather shoulder strap allows you to wear as a cross-body or with the grab handle, carry as a mini brief case.